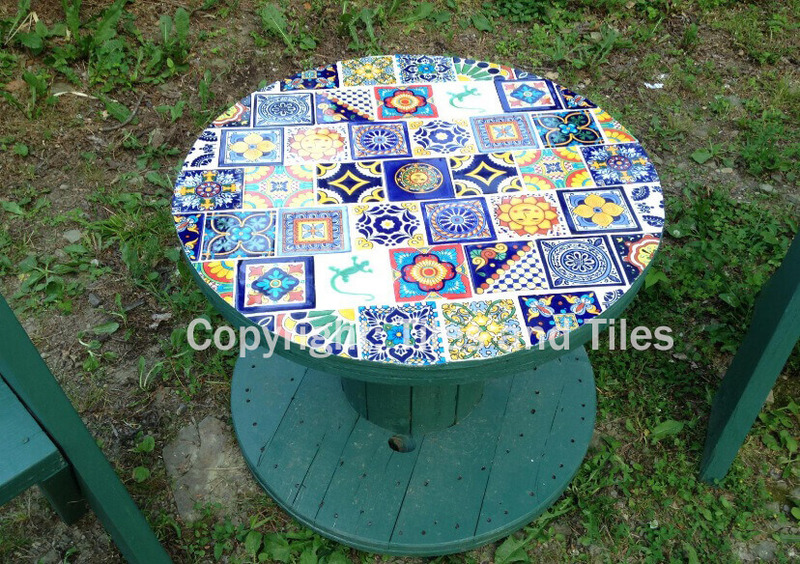 About the Author: TilesAnTiles Inc.
Garden tabletop covered by Mexican colorful broken Tiles, add a beautiful touch with this great idea. Gorgeous fountain decorated with our washed green tiles, add a colonial touch to your garden with these beautiful ideas. Lovely garden steppers decorated with broken Mexican tiles, this is the perfect project for your garden. Unique piece made by a skilled artisan in Mexico, this Pavo Verde Mexican Sink will fill with color and style to your bathroom.